This is the third home that I lived in as a child. My parents actually moved back to this home, after eight years in another city, while I was in college. A few months after college graduation I moved home for a year and lived here again. It seemed so much smaller than I remembered as a 9 year old. 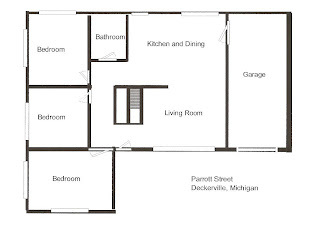 This is the basic floor plan without closets and specific details. playing library in the basement, there was a walled in room that I set up with my books and stuff. watching my new sister, Nancy, sleep in her crib. searching in my parents closet for Christmas gifts with my sister, Linda. We actually unwrapped a couple and tried on the clothes, re-wrapped them and no one was the wiser until years later. playing softball and croquet in the side yard. watching TV on our first colored television set. I think we got 3 or 4 channels and one of them was Canadian. having my husband, Kirk, pick me up for our first date. My sister, Nancy, had a friend over and they were in 6th grade at the time. Kirk was a fifth grade teacher. They were surprised. Previous research on Henriette proved she had married Johann 'John' Zobel. I was so excited, I had a name of her father and a place! Further research is needed on him, but a name, oh my gosh, a glorious name, all from one post on a message board that someone generously posted. 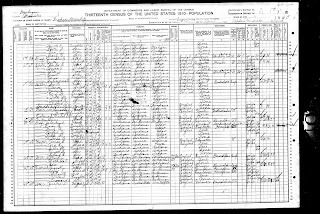 The Poznan Project is a searchable database with marriage records from 1820-1889. I have always liked this picture of my mom with her brother, Norman; sister, Jeannie; and nieces, Kathryn Marie and Rose Marie because I don't have very many pictures of my mom as a child. Audrey, Norman and Jeannie are the children of Otto August Fredrick and Daisy Ellen Graf. 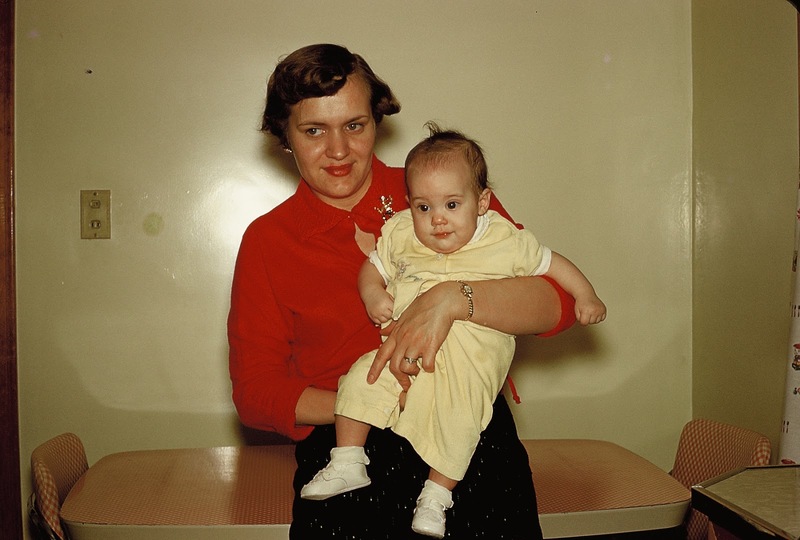 Rose Marie is the daughter of Leo Sandberg and Daisy 'Marie' Fredrick, who was raised by her grandmother, after Leo and Marie divorced.﻿ Kathryn Marie Tritten is the daughter of Carl Tritten and Kathryn Louise Fredrick. Week 13: Sweets: What was your favorite childhood candy or dessert? Have your tastes changed since then? What satisfies your sweet tooth today? I have mentioned before what a great cook my mom was and when we had dessert it was usually made from scratch. Some of my earliest memories are of my mom making homemade cake donuts and getting to eat the warm donut holes as she made them. The cinnamon sugar and powdered sugar ones were my favorites. She would make jelly filled yeast ones, too. Yummy! I remember homemade angel food cake resting on top of what, I believe, was a glass bottle that she used to sprinkle water on clothes when ironing. Topping it off with fresh strawberries and whipped cream was delicious. Later, in my teen years, I remember a couple of desserts that were made with pudding. I think it was a fad in the seventies. Here is one I still enjoy today. 1 package Jiffy yellow cake mix. Bake as directed in 9 x 13 pan. Beat 8 ounces cream cheese with 2 cups milk; add 1 package instant banana pudding. Spread over cold cake, then add 1 large can well-drained, crushed pineapple. Spread 1 large (9 ounce) cool whip on top, then spread with 1 cup brickle bits. This is written as I got it from my mom. No name for the dessert, so I call it Banana Pineapple Dessert. In the seventies, the 9 ounce cool whip was considered large! Now, I would use a small, 8 ounce tub. The pudding size is the larger box. As a home economics major in college, I had to take a couple of food classes. One of my classes was a five credit hour cooking class. I loved that class. Twice a week we went into the lab and prepared all sorts of recipes. The candy making lab was my favorite. We made homemade caramels, they are so much better than the individually wrapped ones! Homemade fudge and hard candy smells, usually, drew other students to the door of the lab. Married life gave me my own kitchen and the freedom to make whatever I wanted to. Dessert was made for special occasions. I would make it when we had dinner guests or if I had to take a dish to pass, somewhere. We didn't have dessert regularly. In the 80's and 90's when my children were just little, I got into making Pampered Chef desserts. I would make Taffy Apple Pizza or Apple Cookie Kuchen, both favorites of my kids. They were quick, easy recipes that the kids could help me with. Now, as empty nesters, we rarely have dessert. I don't really have a sweet tooth, I am more of a salt monster. I need to find a salty, dessert recipe. Any ideas? All this talk of desserts makes me want to go bake, maybe I will. 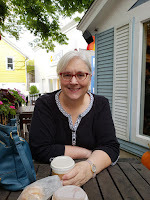 Cheryl Palmer at Heritage Happens shared her blog book that she created at Blog2Print with her readers. I thought it was such a great idea, I decided to create my own. I used my 2010 blog posts, without comments, and had it put into what I think is a lovely way to preserve your blog for future generations. In addition, I was able to share it with my mother who isn't comfortable reading on the internet. I ordered the book on disc, too. I wanted a digital copy I could share with others as needed. I was very happy overall with the quality of the publication. The glossy cover and high quality pages made for a very nice book. I chose to keep the posts as printed rather than compact them. I felt this provided an easier to read book. Compacting them will save pages which saves money, but I am happy with my choice. If you want a great way to preserve you blog in book format, check Blog2Print out. 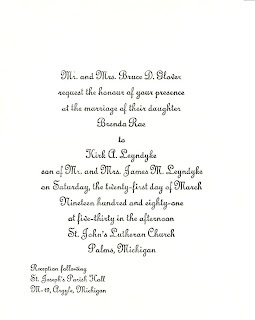 St. John's Lutheran Church, Palms, Michigan. It was a little cold that day, but the sun came out in time for the 5:30 ceremony. Week 12-Did (or do you still) see many movies? Describe your favorites. Where did you see these films? Is the theater still there, or is there something else in its place. I love musicals of all kinds, movie or stage. Funny Girl is my all time favorite movie musical. Who wouldn't fall in love with Nicky Arnstein and his ruffle shirts? I remember seeing Funny Girl at the Harbor Beach Community Theater on North Huron Avenue in Harbor Beach, Michigan. The theater, in Harbor Beach, was a great place to watch movies. It was an old fashioned, Baroque-style theater. The red velvet curtain graced the stage that housed the movie theater screen and was used for live theatrical performances, too. The theater was on the north side of the Community Center, which housed the library, a gym, a lending library for art work, and meeting spaces. It cost $.50 to see a movie, rising to $.75 when I was in high school. The movie theater is still in use today. The community has restored the beautiful 1920's building adding a mural depicting historical images of Harbor Beach. I loved everything about Funny Girl, and still do. The music, the costumes, and the story line. The cast of Barbra Streisand, Omar Sharif, Walter Pidgeon, Kay Medford and Anne Francis sang some of my favorite songs. Who doesn't love "I'm the Greatest Star", 'Don't Rain on My Parade", and "People"? Barbra Streisand won the Academy Award for Best Actress for Funny Girl. It was nominated for Best Picture, but lost to 'Oliver', another movie musical. 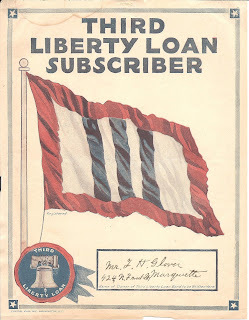 The Third Liberty Loan was a war bond sold by the United States to raise money for the World War I war effort. Americans were asked to donate $170,500,000 in support of the allied troops. An aggressive campaign was held. Posters, broadsides and movie stars were used for advertising the bonds. It was a way for Americans to demonstrate their patriotism. Various organizations sold the bonds. 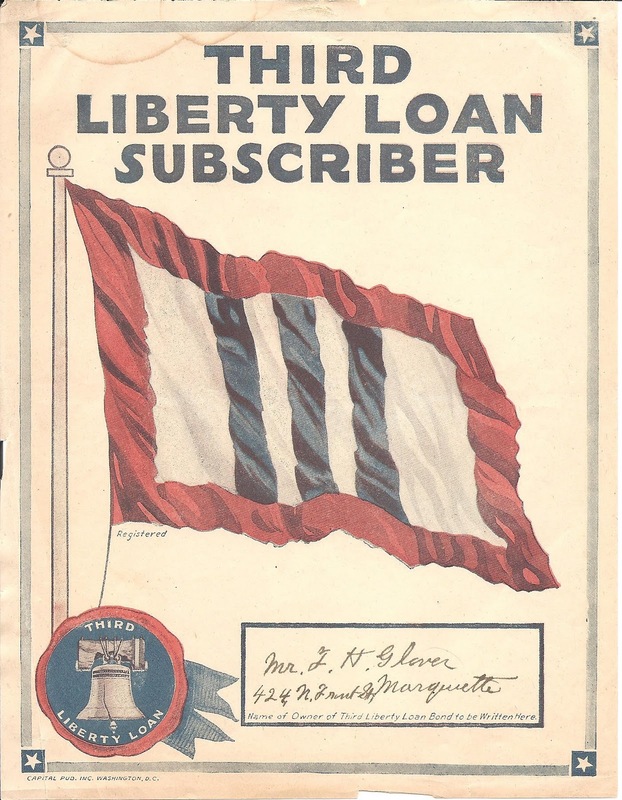 The YMCA, YWCA, National Catholic War Council, Jewish Welfare Board, War Camp Community Service, American Library Association and the Salvation Army all came together for the Third Liberty Loan bonds, in an effort to raise funds. A baby boy, Valentine, was born to ﻿Casper Graf and Mary Wrightweasner Graf on 14 December 1865 in Amboy, Miami, Indiana. He was the seventh of eight children born to them. Valentine was three and a half years old when his father died. Valentine grew up with his mother and siblings. 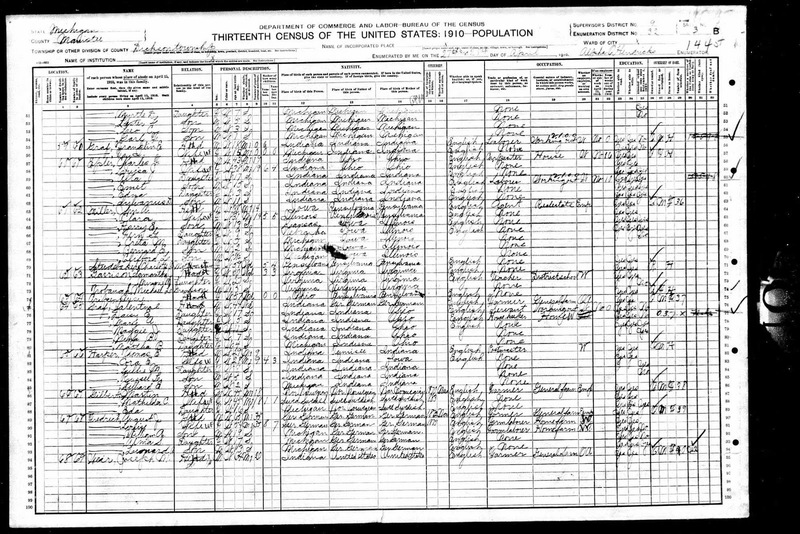 The 1870 census shows Mary Graf as head of household and eight children, ages 2 through 17. I wonder what impact his father's death had on his life. He mother never remarried. 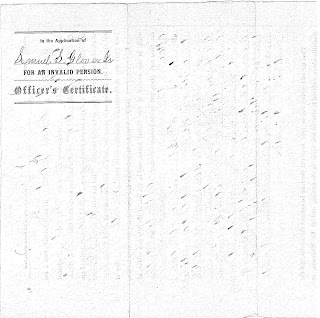 Valentine Graf can be found in the 1880 Census in North Grove, Miami, Indiana which is about 3 miles from Amboy. He is 14 at the time and listed as a farm labourer. He lived as a farmer throughout his life. 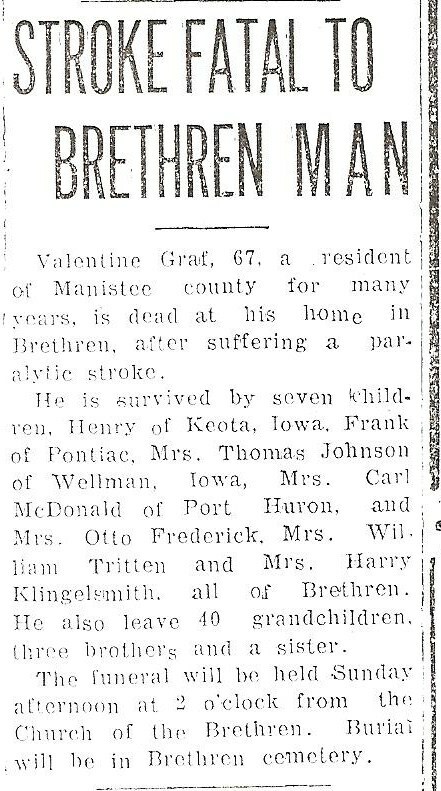 Sometime between 1900 and 1905, Valentine and his family moved from Miami County, Indiana to Brethren, Michigan in Manistee county. 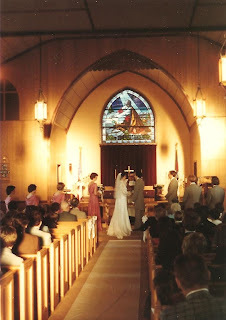 My grandmother, Valentine's daughter-Daisy, told a story that the family moved by wagon train with other settlers to Brethren, Michigan to start Church of Brethren and that is how the town got its' name. Further research finds that Brethren, Michigan was established in 1900 by Samuel S. Thorpe as a colony of the German Baptist Brethren Church. I believe religion was an important part of his life. Hopefully, it brought him comfort in a twelve year period, 1896-1908, when he lost three children and his wife, Nancy. Valentine never remarried and raised his children after her death. 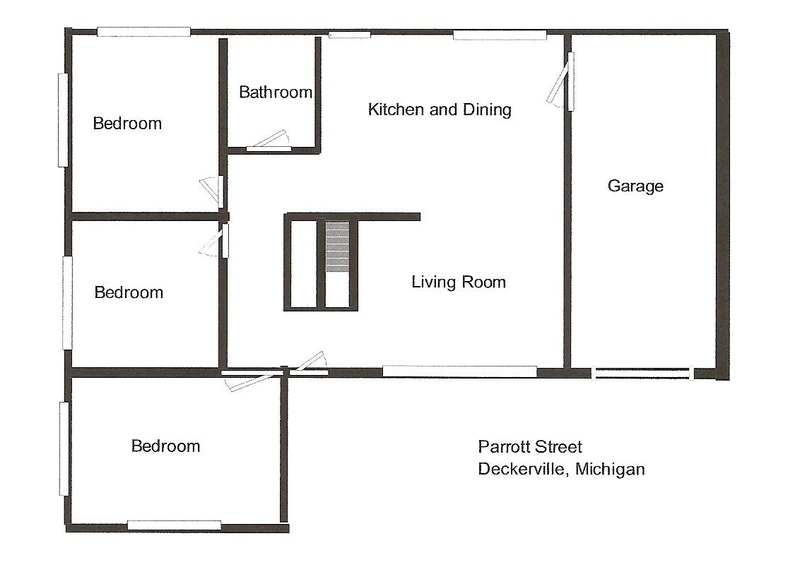 ED 52, p3B, dwelling 64, Indexed as Galentnal Graf-Head of household. Valentine Graf died 13 January 1933 in Brethren, Manistee, Michigan of a stroke. He was 67 years old. 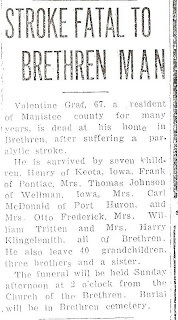 Two obituaries can be found in the Manistee Daily Advocate (see above), 13 June 1933 newspaper and the ﻿Amboy Independant on 3 February 1933. Valentine Graf and Nancy D (Mast) Graf are buried in Brethren Cemetery (Corner of N. High Bridge Road and Coates Highway), in Brethren, Michigan. 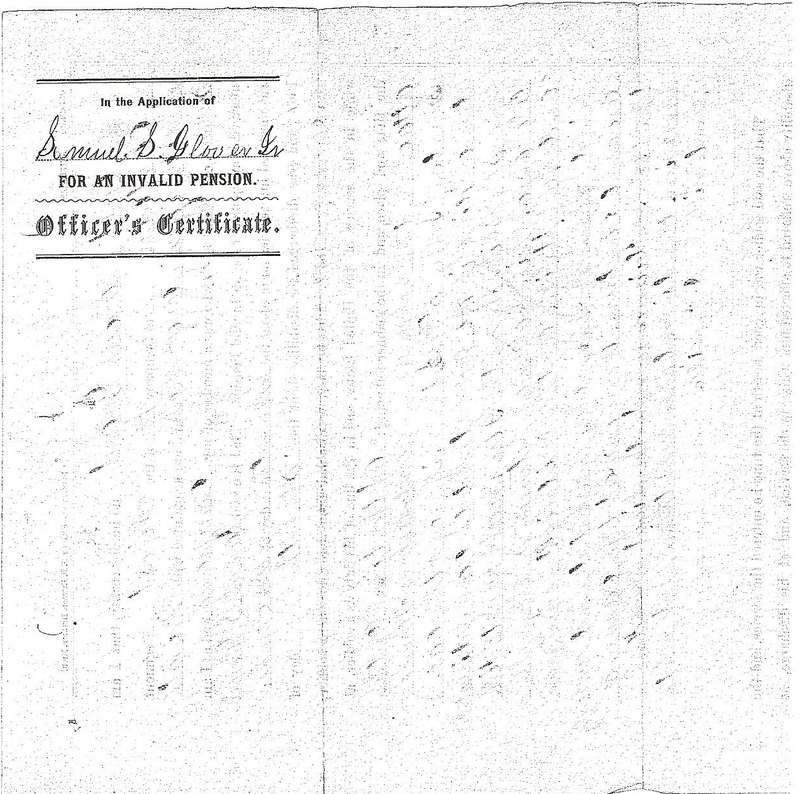 The following is the officer's certificate that Captain Marcus Grant, of Company H of the First Regiment of Michigan Engineers and Mechanics, filed for Samuel S. Glover, Jr's pension. Captain Grant describes the time, place, and manner in which Samuel became disabled. It amazes me that my great great grandfather wasn't captured. 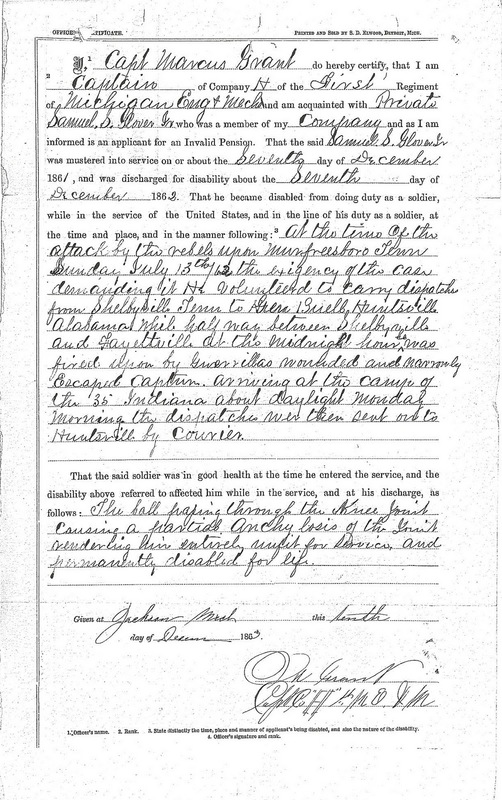 He was shot upon about midnight, but didn't arrive at the 35 Indiana camp until daylight. His obituary stated he clung to his horse and the last thing he remembers is telling someone the dispatches were in his shoes. I don't know where the 35 Indiana camp was at the time, but he travelled for 4-5 injured. I am continuely amazed at the bravery Samuel showed. First, he volunteered to carry dispatches. Second, he had the forethought to get himself to safety while injured. Week 11-Illness and Injury. Describe your childhood illnesses or injuries. Who took care of you? Did you recuperate in your own bed, on the couch in front of the television, or somewhere else? One cold, February day I was out for afternoon recess. My friends and I were chasing boys. I'm not sure if we were playing tag or what. The recess bell rang and I was sure I could catch up to one boy, I don't remember who I was chasing. I ran up this small snow mound and fell coming down it. I fell backward on the slippery slope on my right arm. Man, did that hurt. I never gave it a lot of thought at the time, but my mom didn't show up until they were putting my arm in a cast. No one called her. Can you imagine what would happen if a school did that today? I didn't get a choice of fancy cast colors like they have today, it was white or white! I was sent home, got out of school early for this! I remember it was just before Valentine's Day and I was concerned about not being able to decorate my box for my Valentine's. I don't remember how many days I got to stay home for, but I remember my teacher, Mrs. Groat, coming to the house. She brought art supplies so I could complete my Valentine box at home. I am pretty sure I went to school for Valentine's Day. While at home and in the cast, I got out of doing the dishes. I thought that was pretty cool. I remember lying on the couch and watching television. My mom took pretty good care of me. Unfortunately, I didn't get out of much school work. I broke my right arm and I am left handed! And did I stop chasing boys? Not really! I hope you are having a very special day. Happy Birthday!! The Family Tree Magazine 2011 Best Genealogy Blogs have been announced. Congratulations to all the winners. I am so honored to be included. I am a little stunned to say the least. Thank you to everyone who voted for my blog. I have been given so much since I started blogging. I have connected with some of the very best people in the world. I appreciate my readers and other geneabloggers. I have learned so much from you. I only hope I can live up to this honor. Again, thank you for your support. If this is true, then I feel sorry for Richard and Mary McGee as six of their seven children had March birthdays. Or is it that there were too many birthdays to keep track off, or maybe the enumerator got confused. Here is what I know to be true. 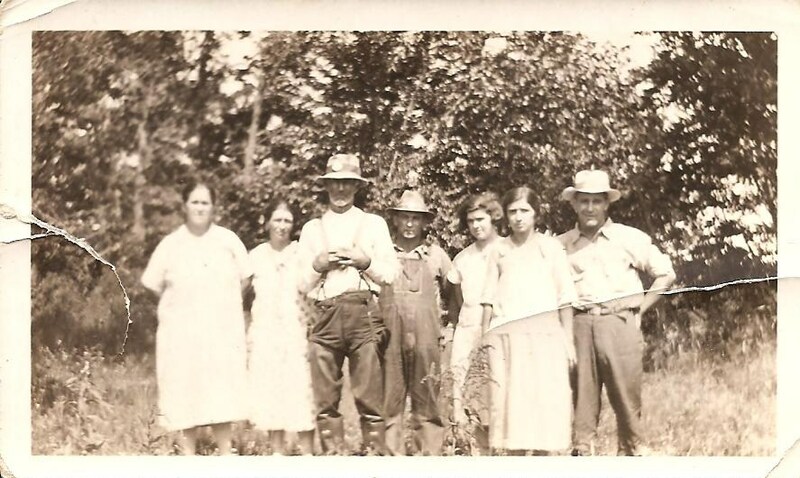 My paternal great-great grandfather Richard McGee and his second wife, Mary May McGee had seven children. Unfortunately, I haven't been able to find better sources for the above three. Their marriage records don't show a birth date. What are the chances that three of the children have a birth date of March 24th? and two others have a March 11th birthdate? I am confident that four of the seven children have March birthdays, but would love to have a better source for Laura and William. Either way- four March birthdays, or six, makes for a busy month of celebrations. I bet Samuel enjoys his birthday in July, he doesn't have to share it with anyone. Recently, I have found that part of my mom's family has Mennonite roots. I have only done a minimal job of researching this line. One source I have found useful is the MennObits area of the Mennonite Church USA website. 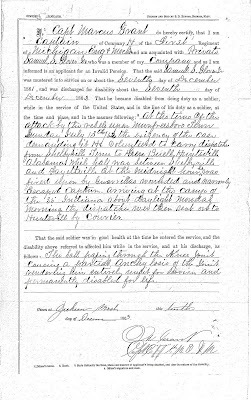 This site is useful for those researching their Amish and Mennonite ancestors. It has obituaries from all three weekly newspapers of the Mennonite Church in North America. In addition, one can find some obituaries from The Mennonite (1998-current) and a few from Mennonite Weekly Review (various dates). There is even a section, Lazarus Project, where individuals can add their own obituaries from newspapers. The search feature is easy to use. You can search by last name, maiden name, or year indexes. When you find the individual you are looking for it takes you to a sourced, transcribed obituary. MAST. ­ Near Plevna, Howard Co., Ind., of consumption, David S. Mast. 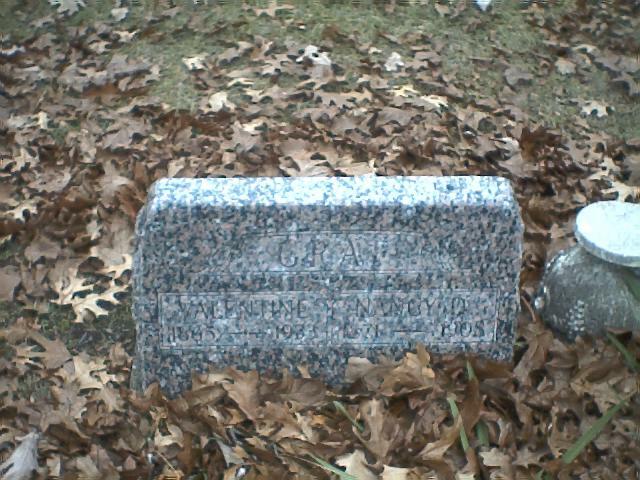 He was born May 8th, 1823, and died Sept. 30th, 1891, aged 68 years, 4 months and 22 days. He was married to Nancy Livengood Oct. 19th, 1851, and lived in matrimony 39 years, 11 months and 11 days. He was a member of the Amish Mennonite church. He was the father of 16 children of whom 13 survive him. He was very much concerned about his soul's salvation. During his sufferings, he admonished others that were living too cold and unconcerned in the way of serving their Lord and Master. A few days before his departure he called for the ministers and his children to observe the communion with him, which was done at the house of his daughter where he and wife stayed. The day before he died they thought that he was dying, and word was sent to his children to come as soon as possible. Bro. N. Sproal came there at the same time. Bro. Mast however revived again, and he then asked Bro. Sproal whether his life would not soon be ended, "for," he said, "I want to go home to Jesus." O, that every one of us may learn a lesson of his departure. Funeral services were held Oct. 1st, in the Amish Mennonite church by N. Sproal in German from Psalm 77: 1 ­ 4, and in English by J. S. Horner. He was buried in the Mast graveyard. He leaves a wife and 13 children to mourn their loss, but not to mourn as those who have no hope. Bro. Mast will be missed by many. Source: "Mast, David S.," obituary, Herald of Truth, 1 November 1891, death information of David S. Mast; online archives (http://www.mcusa-archives.org/mennobits/1891/nov1891.html : accessed 3 February 2011); Volume XXVIII, No. 21. Week 10: Disasters. Did you experience any natural disasters in your lifetime? Tell us about them. If not, then discuss these events that happened to parents, grandparents or others in your family. Avalanches, diseases, cyclones, earthquakes, famine, floods, tornadoes, tsunamis, etc are what I think of when I see natural disaster. As far as I know no one in my family has been affected by any of those. If you count blizzards as a natural disaster then I remember the Blizzard of 1978. I was a junior at Western Michigan University in Kalamazoo, Michigan. The snow started as I was walking home from class and people were getting their cars stuck. I had a short 5 minute walk to my apartment. It continued to snow throughout the night and by the time it was over Kalamazoo had about two feet of snow. Drifts reached the top of some buildings. The college closed which was a rare occurrence. It was days before people could get out. The cars in my apartment complex were buried. I remember, eventually, getting to the grocery store. The shelves were pretty bare. I remember the bread aisle was decimated. Also, there wasn't any milk either. When I see sister wives I think of the practice by some of having more than one wife at the same time. This wasn't the case for my great great grandfather, Daniel C. Fenn. He married two sisters. Some time before 1850, Daniel C. Fenn married Elizabeth Ann Poor, Jane's older sister. This caused me a little confusion when I first started researching them. Some researchers have combined them into one marriage. 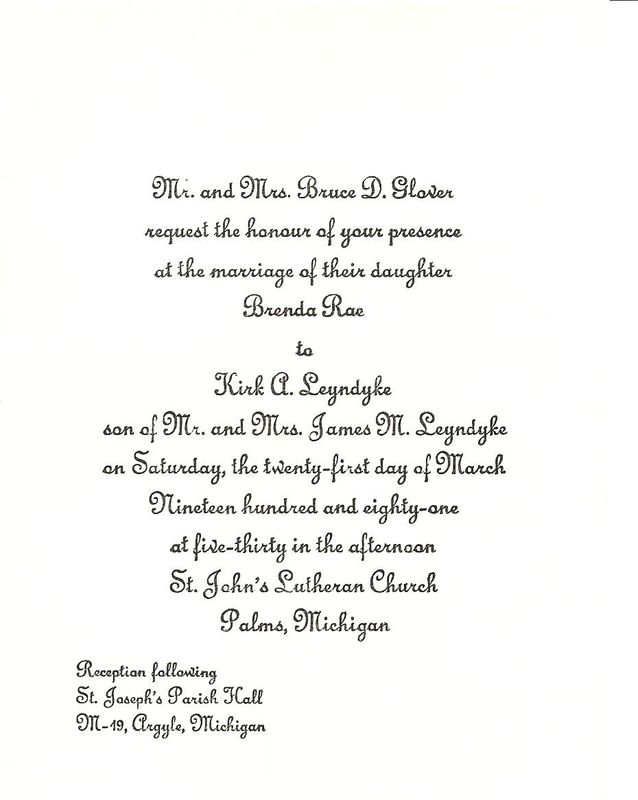 I am guessing it is because of Jane's middle initial being an E. Perhaps they thought she went by her middle name. Daniel C. Fenn and Elizabeth A. Poor had three sons, Zealton, Tully and George and two daughters, Hattie and Osphie. Jane and Elizabeth Poor are the daughters of Samuel B. Poor and Eleanor Begole.